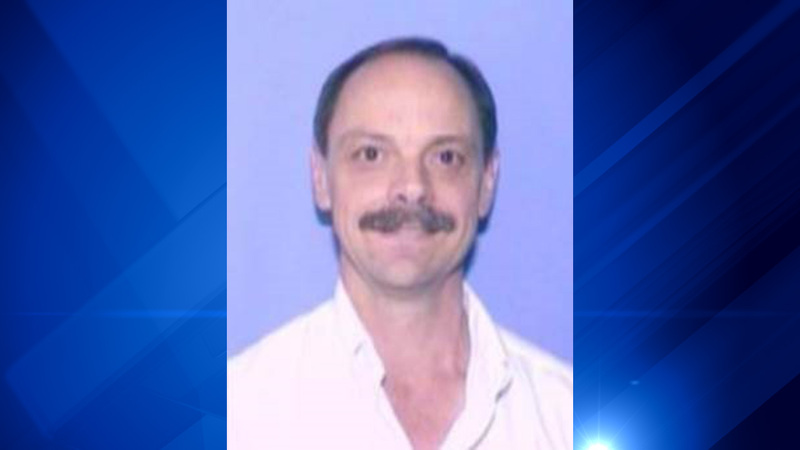 An airline captain based at O'Hare is free on bond, the I-Team has learned, in the bizarre case of a home castration that authorities say he performed to remove the testicles of a transgender woman. James Pennington, 57, allegedly used a combat surgical kit to conduct the illicit operation in a Denver, Colorado apartment, investigators say. Pennington is not a licensed doctor according to police. Detectives have not said if he had medical training or surgical experience but according to a police affidavit "the suspect had previously agreed to conduct" a castration operation on the transgender woman. Authorities say the woman's wife observed the 90-minute surgery that took place last Wednesday. Investigators say the woman called 911 about three hours later requesting an ambulance when "a large amount of blood" began gushing from the sutured incision. Pennington flies United Express jets out of Chicago O'Hare, aviation sources have told the I-Team. He is employed at United regional partner ExpressJet Airlines where records show he has worked for nearly 12 years. He has now been placed on administrative leave says Bobbie Battista, ExpressJet spokesperson. Battista told ABC7 she would not comment further "as it is now a legal matter." Records show Pennington lives in Denver but I-Team sources say he commutes to O'Hare several times a month where he is based. Police say Pennington used a scalpel to surgically disconnect and remove the victim's two testicles and then stitched up the incision. He allegedly used an Army field surgical kit that typically contains scalpel, scissors, anesthetics such as lidocaine, wound dressings, bandages, sutures and other basic medical instruments needed for emergency treatment of some battlefield wounds. How the impromptu surgical procedure came to pass, and under what terms, has not been disclosed by authorities. However, a Denver TV station reports that the home-surgery patient contacted Pennington "because he offered to do me a favor and help me get an operation which I so badly needed for my mental and physical health." That claim is included in a "Jane Doe" letter cited by KUSA. In the letter the unidentified woman writes that she doesn't blame Pennington for the apparently botched surgery and does not intend to press charges. "I am a victim of a society and healthcare system that focuses on trying to demonize transgender people and prevent us from getting the medical transition we need instead of trying to do what is best for us. Arranging a back-alley surgery was out of pure desperation due to a system that failed me." Authorities said she was taken to Medical Center of Aurora outside Denver but that the testicles could not be reattached because of the several hours between the procedure and the 911 call. In the letter the woman claims that she is happy with that outcome. "Obviously, I wanted them gone and would have been traumatized had they been restored" the letter states. After being held in jail during the first degree assault investigation and then appearing in court, Pennington posted $50,000 bond and was released. ABC-TV affiliate KMGH went to Pennington's home where a notice taped to the front door referred reporters to Denver attorney Doug Richards. When reached by the I-Team Richards said neither he nor Pennington would have any comment about the case. There is a court hearing scheduled for June 6 in Denver but it is not certain that Pennington will actually end up facing criminal prosecution. "Charges have not been filed yet" Ken Lane, communications director for the Denver District Attorney's office told the I-Team on Monday. Lane says under criminal procedures in Denver, police refer cases to the DA's office for consideration of charges. "The DA may decide after an arrest is made against filing charges at all," he said. "The case can be refused by the DA, e.g. insufficient evidence, statute of limitations has actually run, etc, and no charges filed." Ex-Trump aide George Papadopoulos, wife: from "paradise to hell"